It has become the norm in our everyday busy lives: we expect everything to happen instantaneously and become instantly aggravated when it doesn’t. The result is that we can feel frantic and rushed, stressed and unhappy nearly all the time. 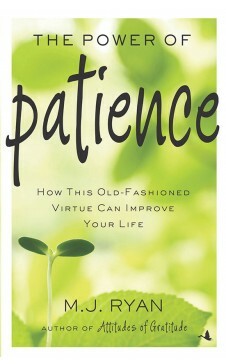 In The Power of Patience, M. J. Ryan teaches us how to slow the rush and reclaim the forgotten virtue of patience on a daily basis. She shows how doing so allows us to make better decisions and to feel better about ourselves every day. M. J. Ryan discovered that the classic virtues have enduring power to bring light and love into our lives. With The Power of Patience, she shares what she has learned about the gifts that this old-fashioned quality can bestow, the attitudes that foster a patient outlook, and the practical tools that help us to respond patiently in any given moment. The Power of Patience calls on us to reclaim our time, our priorities, and our ability to respond to life with a firmly grounded sense of who we are. It is the best gift, we soon learn, that we can give ourselves. 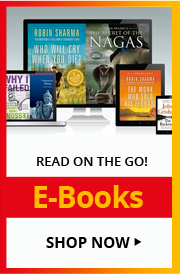 M. J. Ryan is one of the creators of the New York Times bestselling Random Acts of Kindness and the author of The Happiness Makeover, and Attitudes of Gratitude, among other titles. Altogether, there are 1.75 million copies of her titles in print. She is part of Professional Thinking Partners (PTP), and specializes in coaching high performance executives, entrepreneurs, and leadership teams around the world.